Can I just tell you how completely thrilled I am to introduce you to Maria Goti Joyas?! Her jewelry is uber amazing and she is ridiculously talented. Check out a few of her pieces throughout this posting, but be sure to check out her other sites as well…..every single piece is stunning. I’m humbled that Maria is willing to let us in on her life, inspiration, creativity and artistry. A: My name is María, I’m 25 and I live in a little town in the north coast of Spain called Navia. I studied jewelry and gemology for 3 years in the European Center of Gemology and Jewelry at Oviedo’s University. I’ve been working in my own workshop since I finished my jewelry studies designing and creating my own jewelry line. I do every piece one to one by hand, from the melting to its finish. I mainly work with silver because I love the variety of finishes, textures and contrasts I can create with it, combining it with gold, copper, pearls and natural gemstones. I love natural gemstones, especially raw and druzy. What I like the most is working with one of a kind and unique pieces. Q: What events and/or people have led you to become an artist? A: Well, I don’t know if I’d call myself an artist but the truth is that this was something unexpected. I had never thought about working in this profession, even being a child. I always liked crafts and my favorite subject was art, but I started high school thinking about becoming a translator. When I finished I realized that I was too restless to perform an office job. I wanted something more creative, where I could combine mind and hands. I started shuffling options and jewelry appeared suddenly. In my life I had never been in a workshop and I had no idea on how it would be working on this, but I jumped at the adventure… And here I am, totally in love with what I do. It’s a job that engages, it has no limits because I always learn something new experiencing and testing. 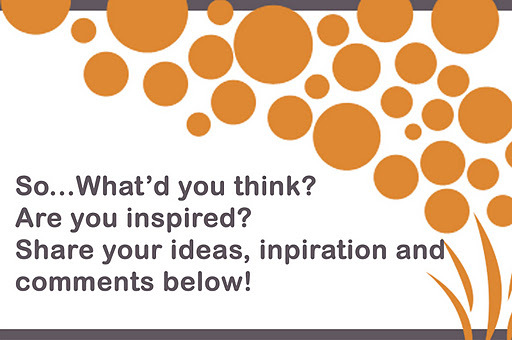 Q: How do you come up with your creative ideas? A: Like my decision of studying jewelry…Unexpectedly. The day I decide that I have to sit down and design something is nearly a lost day so I try to avoid it. Many times I’m in the workshop working in a piece and I have to take pencil and paper because an idea appeared. In these cases I like to say that ideas are fruit of the work. Other times I’m outside and I just see something that inspires me. The secret is to look everything that surrounds me like a possible jewel. I also love improvising while I’m working. The pieces that I like the most of all I’ve done were born just like that: experimenting, mixing, trying… And when I have a piece or an idea I like, I start varying and changing things to get more and more pieces. Q: What’s your quirkiest attribute? A: I love being busy, I think I get the best of me as I’m busier. I have an agenda where I write in the morning everything I have to do during the day and I love crossing out everything I finish. At the end of the day I like watching all those crosses. And if I look back at the day I feel great remembering all the things I did. Q: What would you say to someone who says they aren’t creative? A: I thought the same about me when I finished my jewelry studies. I was afraid I wasn’t able to work on my own designs. But we all have ideas so I think we all are creative in any way; is just that we need to find in which way. You can be creative cooking, for example. Or writing, or in the way you dress. Sometimes people say me that they wouldn’t be able to do what I do but I also think the same about what they can do. Q: Where are your items available for sale? 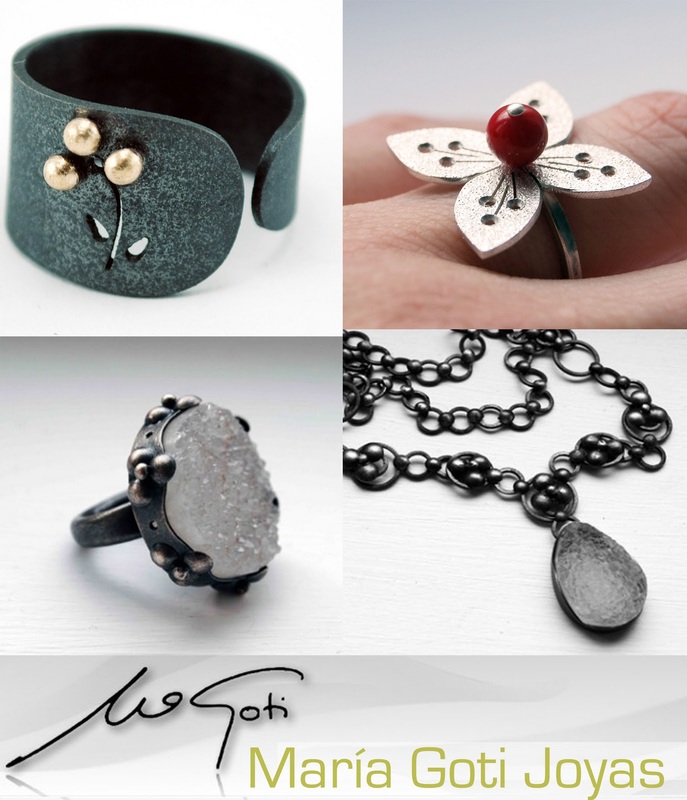 I’m currently selling some pieces in Galerie Caractere (a jewelry gallery in Switzerland) http://www.galeriecaractere.com/ and in shops in USA, Slovenia and Spain. Q: What project/s do you currently have on your plate? Also one of my rings will be published soon in a jewelry book that I can’t wait to see. I’ve never been published in a book so I’m really happy with this. The uncut quartz looks really weird when I first saw it. I was thinking of things like, will anyone look good when they wear that ring and necklace? But after seeing some of her jewelry, they're really awesome. I love mariagoti jewelries because it is so simple but it perfectly matches my collection. A highly recommended jeweler. These are great jewelry designs. I love the simplicity of these jewelries too. The ring looks gorgeous. The presence of a stone is perfect. Lovely home. I especially adore that wallpaper.